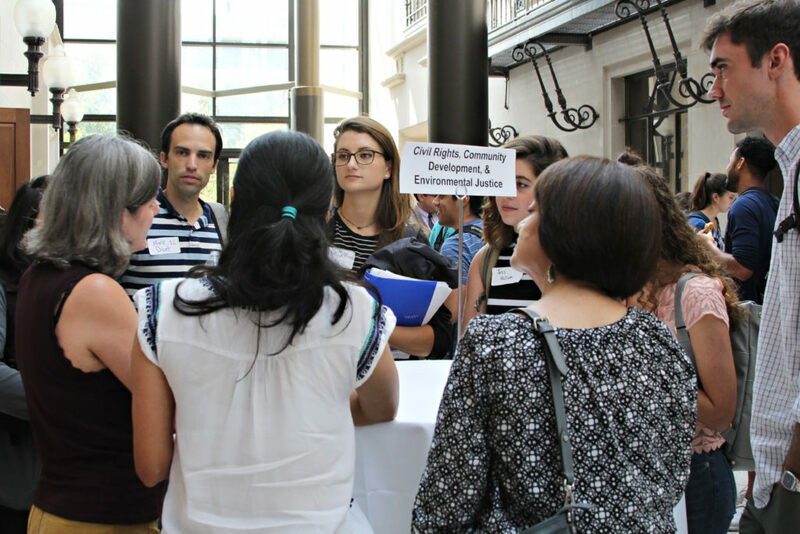 On Friday, September 7, Texas Law held its sixth annual social justice orientation for new and returning students. Kali Cohn ’14, now a staff attorney with the American Civil Liberties Union of Texas, founded Change It Up! as a student in 2013. Her goal was to reassure public-interest oriented students of the feasibility of their social justice aspirations and to introduce them to each other and to the people and programs at Texas Law that will help them get there. 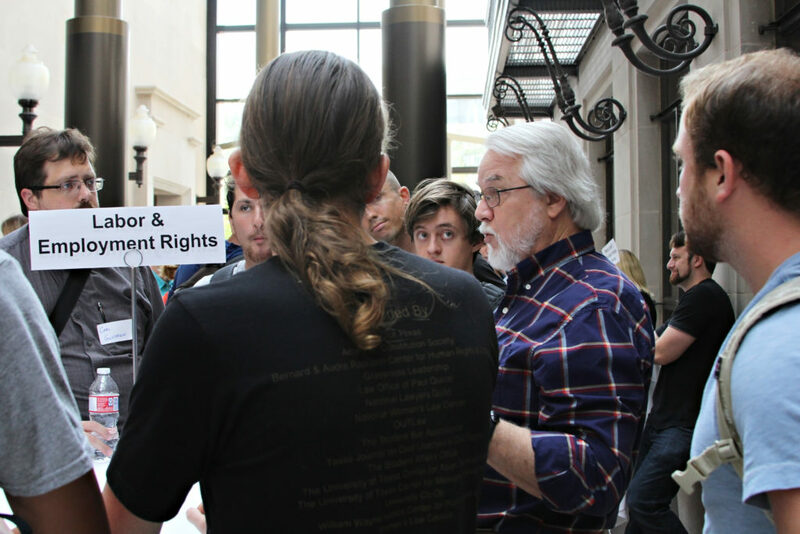 This year a team of law students headed by Marissa Balonen-Rosen ’19, and Nat Fine ’20, helped the Justice Center plan and organize the event. Change It Up! 2018 featured an inspiring keynote address by Blake Strode, executive director of ArchCity Defenders, a nonprofit civil rights law firm in St. Louis, Missouri, providing holistic legal advocacy and combating the criminalization of poverty and state violence against poor people and people of color. 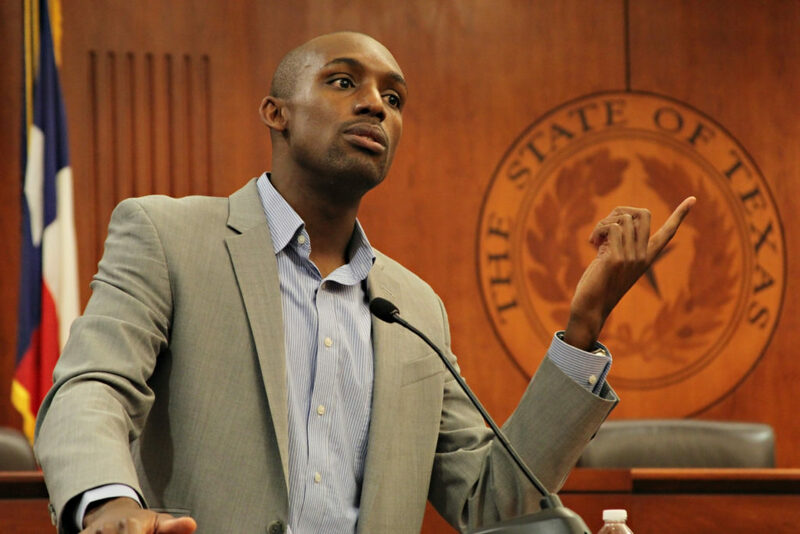 Strode, a 2015 Harvard Law School graduate, drew on his own journey through law school, providing thoughtful and practical advice for students who hope to pursue social justice work. He charged students to stay proximate to the people they hope to serve, to notice injustice in the mundane, and to trust their instincts. A panel of recent graduates who discussed their social justice work and how they charted their paths through law school followed Strode’s address. 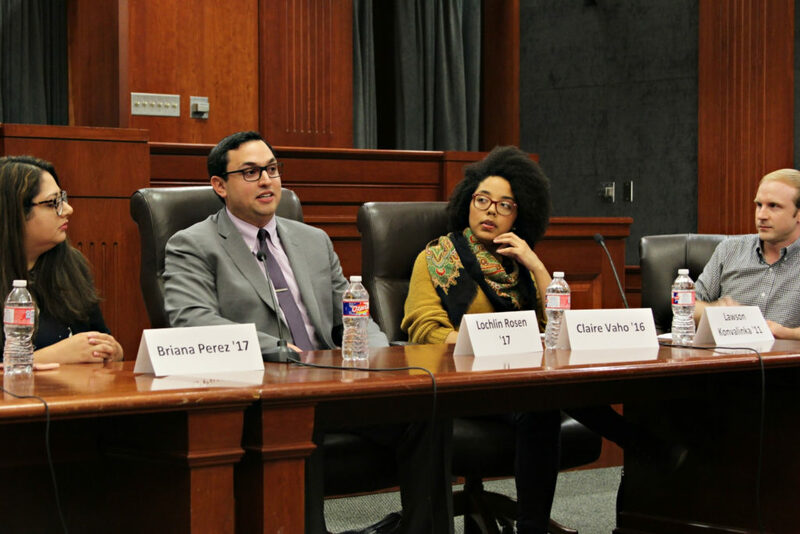 Panelists included Chris Larson ’15, who is a staff attorney and the employment practice team lead at Legal Aid of NorthWest Texas in Dallas; Erika López ’17, who is an assistant city attorney with the City of Austin; Briana Perez ’17, who just completed a year as a fellow at the Mexican American Legal Defense and Educational Fund (MALDEF) in San Antonio; Lochlin Rosen ’17, who is an assistant public defender with the Colorado State Public Defender in the Denver area; and Claire Vaho ’16, who participates in the State Bar Incubator Program and has launched a family law solo practice. Lawson Konvalinka of the Career Services Office moderated the panel. Attendees also had the opportunity to meet in small groups with second and third year students over lunch. The event concluded with a networking reception with faculty, staff, and attorneys.